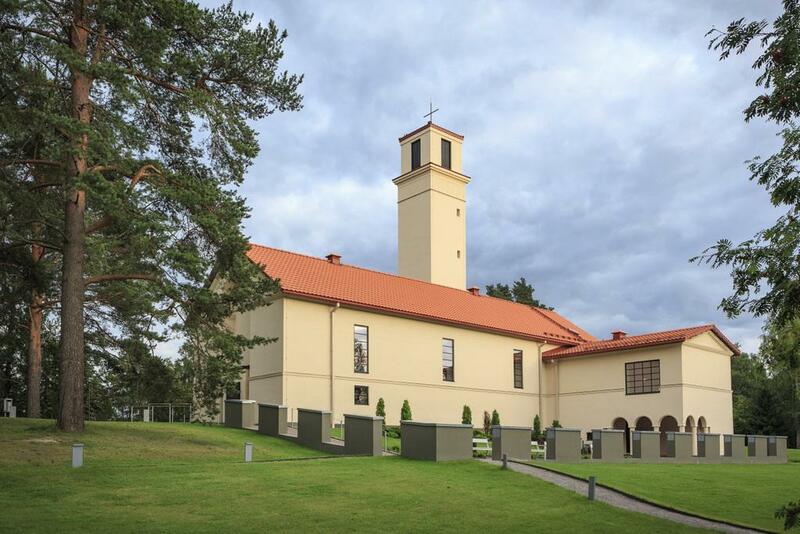 Alvar Aalto designed several church plans in 1920’s and Muurame church is the only one that was realised. 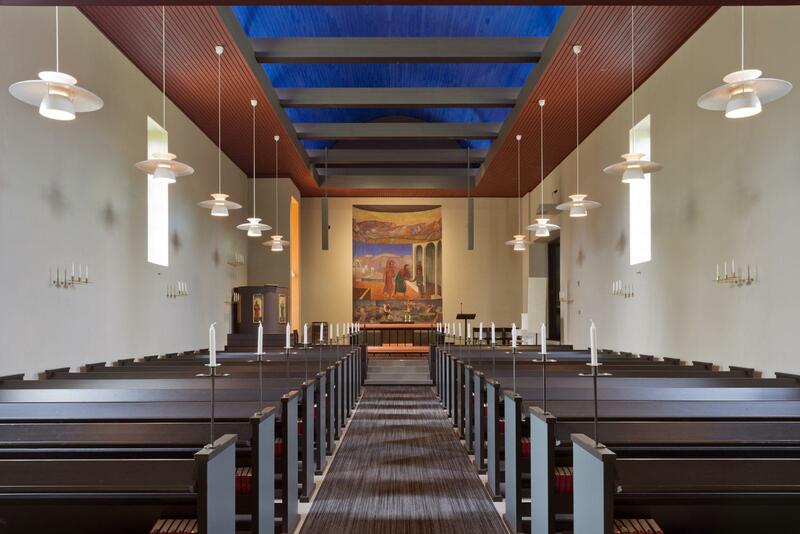 Muurame church is considered to be a interphase in Aalto’s career. 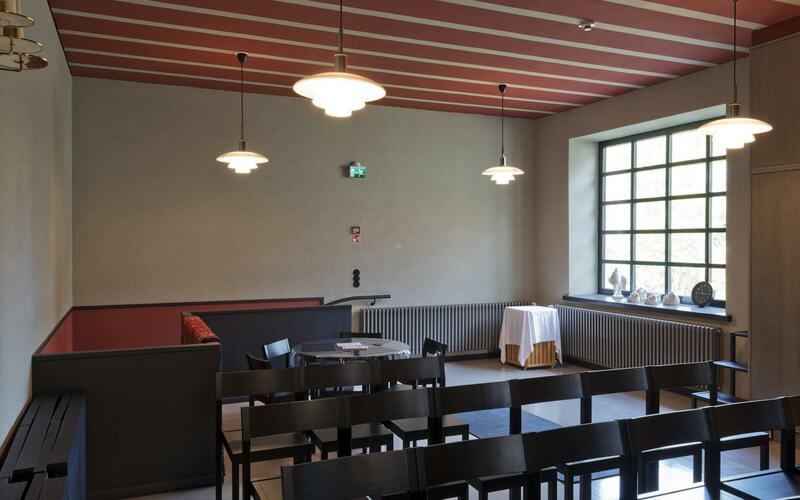 After Muurame church, Aalto gradually moved on from classism to functionalism. The village of Muurame lies a few miles south of Jyväskylä, the town where Aalto opened his first architectural practice in 1923. It was only natural for the parish council to commission its new church from the closest qualified architect. Alvar Aalto had made his first trip to Italy in 1924, and his travel impressions are much in evidence in the church of Muurame. Muurame church represents Nordic Classicism. Muurame church is located on a ridge and it is an important part of the cultural heritage in the area. The church is a single-aisle basilica with a tall campanile on one side of the rounded chancel. The interior has a barrel vault over a system of joists, the parish hall opens as a side chapel to the right of the chancel. A staircase leads down from this room to an exit with a loggia, which in Aalto´s original plan is surrounded by a rose garden. Aino and Alvar Aalto designed the furnishings for the church together. The furnishings, designed fairly late in the project, took on elements of Aalto´s conversion to Modernism, and Aalto used Poul Henningsen lamps for interior lighting. The interior of the Muurame church has undergone several changes over the years. Last time the interiors and exteriors of the Muurame church were renovated in 2016. The aim of the renovation was to restore the church to its original appearance. 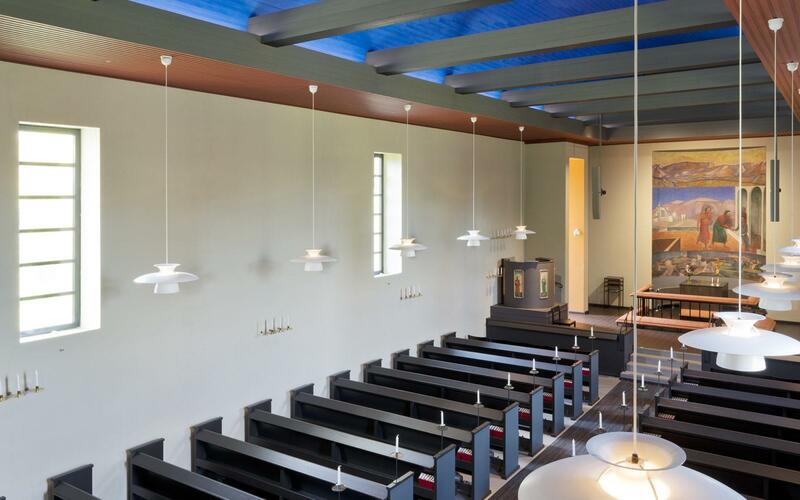 During the renovation, also Poul Hennigsen’s light fixtures were returned to the church. The latest renovation is considered to be successful. William Lönnberg was commissioned to paint the altarpiece in 1929. Alvar Aalto designed several church plans in 1920's and Muurame church is the only one that was realised. 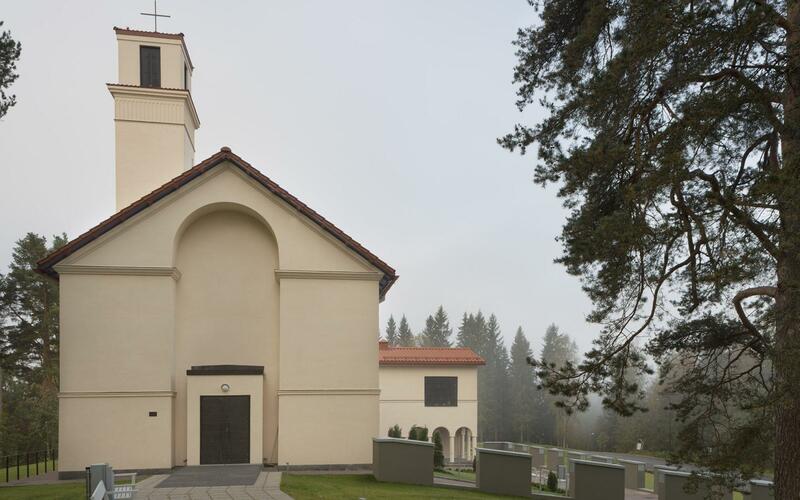 Muurame church is considered to be a interphase in Aalto's career. 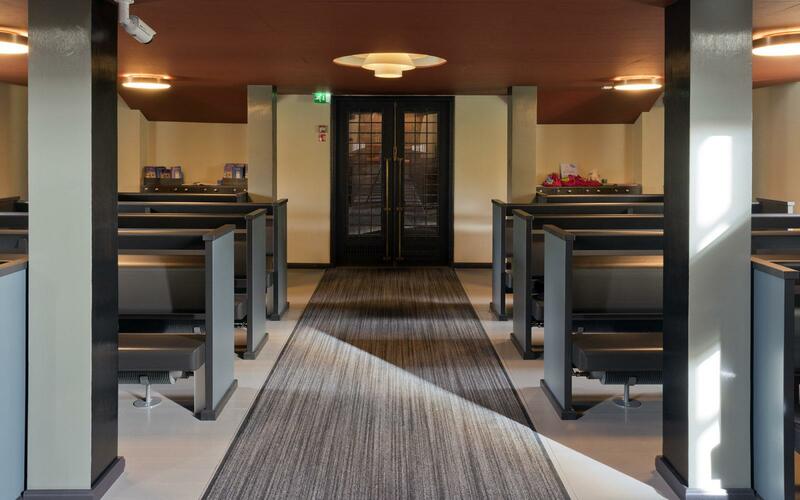 After Muurame church, Aalto gradually moved on from classism to functionalism. Muurame is located approximately 270 kilometres away from Helsinki. You can reach Muurame via Jyväskylä with a train or by Matkahuolto and Onnibus buses. Local buses from Jyväskylä to Muurame takes approximately 20 minutes. Taxi service you can reach from number +100 866 44. The opening times for the Muurame church vary depending on the season. Please check opening times prior to your visit from parish of Muurame.